Join Robin Thursday mornings at OM. Play hookie, ditch the kids at school, and start the day with a 45min express pilates class. Almost as good as coffee. Almost. Join Robin for an hour of mindful movement in the Art Gallery of Hamilton's Annex. 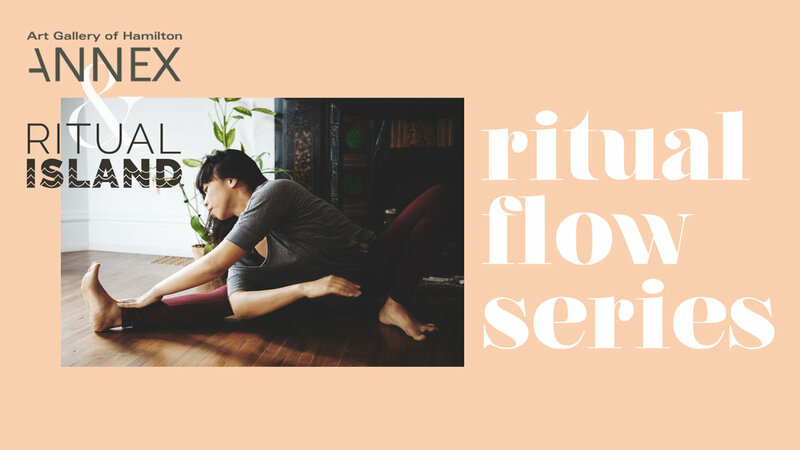 Experience Robin's blended approach to yoga, pilates and functional movement - seamlessly linking postures and movements to breath and music. No one is ever turned away for financial barriers. If you really need to move with your breath (which is always!) FEEL FREE AND WELCOME to join in and pay what you can. Money is only one form of currency. We are open to all forms. Get in contact to make arrangements. Or just SHOW UP. Pilates with robin & childminding with Sitterhood. Not just for mamas. (but especially for mamas). Smoothies are one of the easiest ways to get a solid dose of fruits & veggies first thing in the morning, but from a traditional medicine standpoint they can be tough on our digestion when we drink them through the cold weather months. Using an approach based in nutritional and traditional Chinese medicine, Dr. Emily Bennett, ND will guide you through the no-fail steps to making a super nutritious, delicious, gut-friendly smoothie every morning (or whenever you want it). We'll make three smoothies in this class and send you home with a few recipes and ingredient lists. Register H E R E .
Come stretch, roll around and awaken tight or sleepy muscles using self-massage techniques. With the use of props, we will learn ways to help keep muscles knot-free and long. Work out the kinks, improve your circulation and feel good in your body. 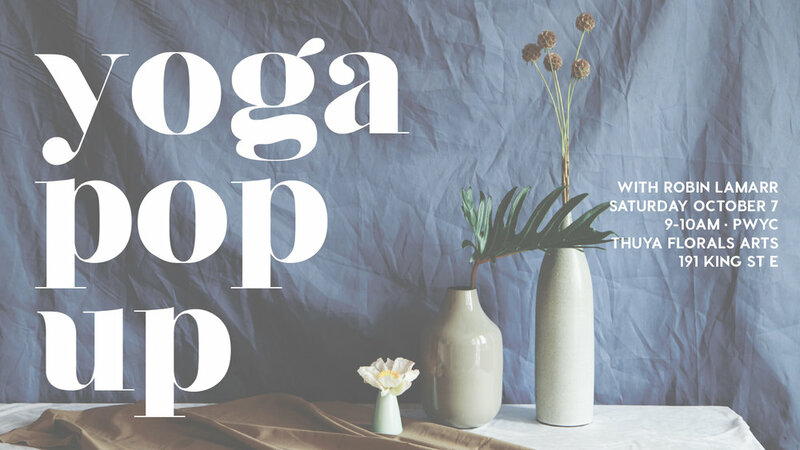 Let's bless Thuya Floral Arts' BEAUTIFUL new home with some mindful moves and good vibes before its grand opening! You'll get to meet the incredible, Tasha, floral artist, creative hustler, and donut lover. My kinda woman. As part of the Art Gallery of Hamilton's Free Fridays, Robin will be popping up in the AGH Annex for a pay-what-you-can yoga class! Stick around after class to enjoy Short Film Night, a compilation of shorts by directors who have feature films in the AGH BMO World Film Festival (Oct 13-22). All proceeds will be donated to Art Without Barriers, which offers a fully subsidized week of summer camp to children, and works in partnership with the YWCA’s Newcomer program. I'm REALLY looking forward to this one and hope you can join me. Be Moved. Be Still. Be Well. Click H E R E for more information.